Neither the Right nor Left, The Republicans nor the Democrats, have a patent on being the protectors of the citizen’s individual Liberties. When it boils right down to it, a political policy vehicle can, and often does, fail with it’s endorsements. And our elected representatives often fail their constituents when it comes to the protection of the individual. We can stay on the merry-go-round of party politics that villainizes the opposition party, (often warranted) or we can start grading our elected on their effectiveness, and willingness to challenge the system and allow unhindered due process afforded every citizen in our U.S. and State Constitutions. When the system fails, when petitioning is exhausted and disregarded, The people have the right and duty to make it right at the ballot box. Please read the following opinion letter sent to me by a very admired friend. I went to Bill Schuette’s re-election website. In the section dedicated to Schuette’s commitment to have all Michigan taxpayers fund the Detroit city employee pensions, it says, “Bill isn’t the kind of Attorney General who picks and chooses which parts of the constitution to defend.” While it’s true Schuette supports those on the government payroll he has no record of supporting the Constitution as it applies to the rest of us. The founding fathers drew up a Constitution that guaranteed the citizens of this country their liberty by setting limits on the power of the government. They divided the government into three branches the legislative, executive, and the judicial. The legislature makes the laws. The executive enforces the laws made by the legislature. The judiciary interprets the laws made by the legislature and determines if the enforcement actions of the executive comply with the law. By dividing the power of government, this system established checks and balances designed to keep the government from gaining too much power and thereby exercising unconstitutional control over the citizens and their property. This system worked very well for a long time but in Michigan we have allowed those checks and balances to erode by electing the wrong people to office. The legislature has shoved its law making duties off on the bureaucracy- the Department of Natural Resources, the Department of Education, the Department of Transportation, etc. The legislators passed statutes that authorized various departments to promulgate rules and regulations that have the force of law. Our legislators like this system because it allows them to take credit for rules that are popular and insulates them from accountability when these departments issue rules and edicts that infringe on our rights. If you run into problems with one of the state departments and go to either your state congressman or your senator, they will feel your pain, sadly shaking their heads in sympathy with your cause but then they go on to tell you that there is really nothing they can do because that department isn’t under their supervision. Exactly. Those departments are part of the executive branch of government. The lawmaking power that is supposed to be in the hands of representatives that we have elected has been handed to a bureaucracy that is not accountable to the electorate. This fact is reflected in the bullying arrogant manner in which these departments treat the public and the disregard that these departments have for the constitutional limits on government power. The legislative branch in Michigan has failed in its duty to check the executive branch by allowing the various state departments to unconstitutionally make laws that are arbitrarily enforced. When this happens the citizens are supposed to have the judicial branch of government to protect them. In recent years several small business owners, Mark Baker and I being two of them, have encountered what we regard as unlawful acts and gross misinterpretations of the laws by departments of State government. We initiated lawsuits asking the courts to review the actions of these departments and issue decisions on the lawfulness of the enforcement actions taken against us. These suits did not ask for compensation. We asked for justice. As Attorney General Schuette is part of the executive branch of government. As the attorney for State government it is the AG’s job to defend the government in court when citizens bring suit against the state. Instead of preparing the government’s case and arguing that case in court, Schuette uses every legal tactic available to prolong the legal process and run up the legal costs. Schuette kept up this tactic for over 2 ½ years in Baker’s case. When Schuette could no longer avoid the actual court hearing, where he certainly would lose on the merits, Schuette dropped the DNR’s action against Baker including a $700k fine and said everything was just fine now. Baker wasn’t in violation of any laws. Schuette then argued that because there was no action against Baker, Baker’s suit was void. The court agreed and ruled that Baker’s suit was not “ripe” because there was no controversy and dismissed it. No controversy? After huge legal expense and disruption to his business Mark Baker was never able to get a ruling in court on the legality of the DNR’s actions. Baker paid his own legal expenses. We as taxpayers paid for Schuette’s legal maneuvers. Nobody won here. Justice wasn’t done. Schuette should have made his case and let the court make a ruling that would have settled the matter. That he didn’t proceed in that manner is an injustice perpetrated by our sitting attorney general whose job is to prevent injustice. In my case it has been a year of the same thing. Schuette has resorted to constant legal maneuvers designed to impede the case going to trial and run up the legal cost. I am asking for a court ruling on the interpretation of a one sentence statute enacted in 1961. Instead of proceeding to court and letting the judicial branch of government do its job, Schuette has demanded my income tax records, credit card statements, phone records, etc. He even asked for my employment records going back to the date of incorporation- 1974. None of that has a thing to do with the legal question involved. Schuette isn’t presenting the merits of the state’s case. He is attempting to prevent a citizen seeking justice through the court system from ever reaching court by overwhelming them financially. That is not how this country and this state are supposed to operate. Intentionally running up the legal cost as a strategy by a lawyer in private practice is unethical. For an attorney general to do it is unconscionable. It borders on extortion, as Schuette is using the power and financial wherewithal of the state to prevent citizens from obtaining justice and protecting their rights in the court. The Constitution is not being upheld in a state where unelected government officials can make laws, enforce those laws by draconian means, and where the attorney general spends his time preventing honest citizens from gaining access to the courts. We have an opportunity to begin to fix this situation. Schuette is running for re-election on the November 4th ballot. I voted for Schuette in 2010. I made a mistake. A vote for Schuette is a vote to abolish the Constitution in Michigan and put rule by Lansing bureaucrats in its place. 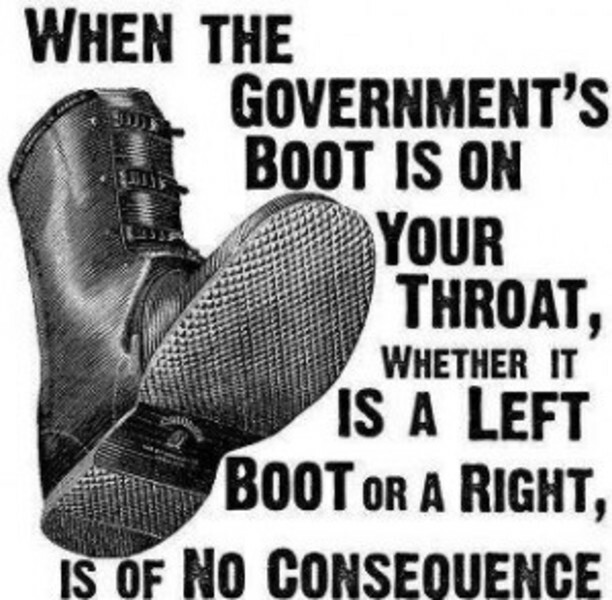 It is a vote for unbridled rule by an entrenched, power obsessed bureaucracy that has no respect for our rights and seeks to unconstitutionally rule over us. Vote for the Democrat Mark Totten. These words hold true to this very day. I often find it amusing in conversation with others the expression that comes over their faces when they learn that shyster Schuette was one of the 71 co-sponsors of the Fairness Doctrine, which President Reagan vetoed. In my book, once one is proven an a**hole without scruples - they're always an a**hole without scruples.